For libraries, breakout spaces, open plan learning and refectories. With a solid wire chrome frame, a sled-base and a comfortable moulded plastic seat, the V Series chair is lightweight but strong. 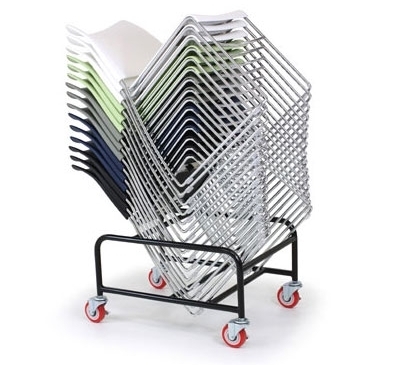 The chairs stack together very closely, allowing large numbers to be stacked onto the special trolley and relocated or stored until your area becomes the next hive of activity. 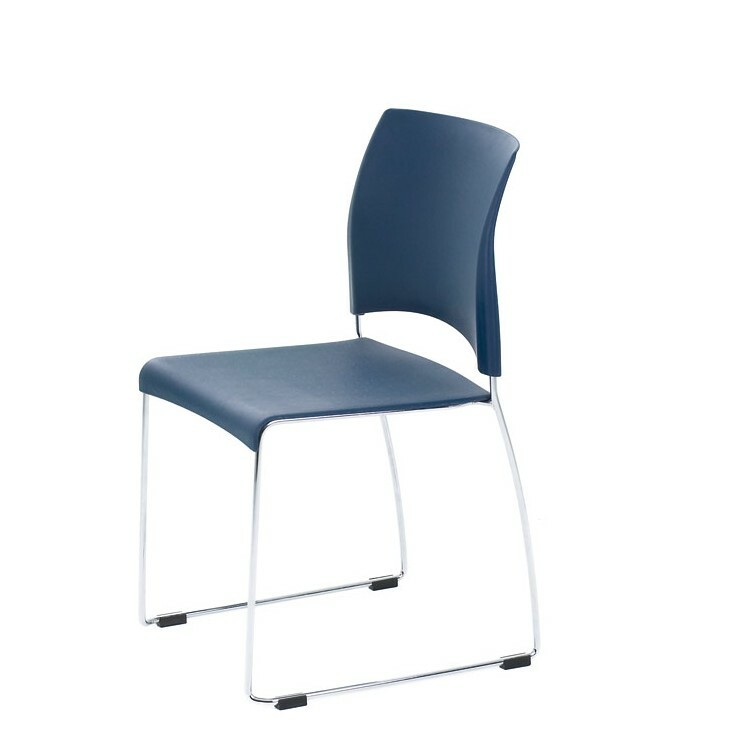 The plastic seat and back are available in three colours – black, blue and white with a number of options for upholstery. 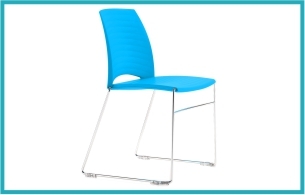 Plastic feet protect floors and other chairs when stacked. 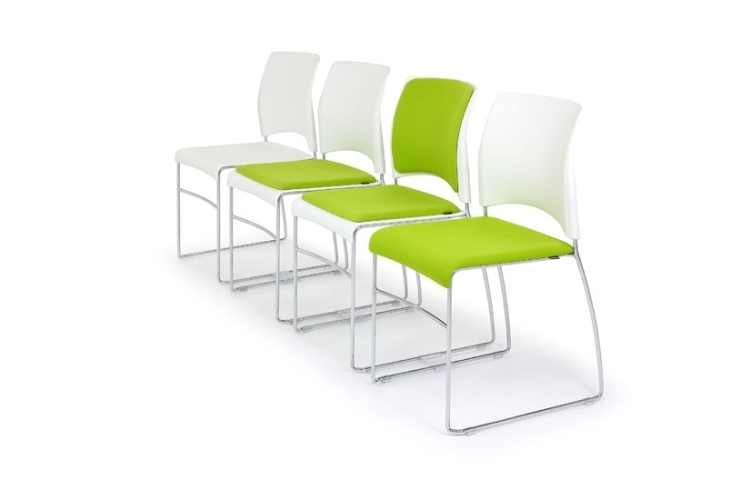 For seminar rooms, breakout spaces and SEN learning environments.